MANILA -- The communist groups and their allies, not the military, have the "penchant for lying or distorting facts to fit a selfish agenda", the Department of National Defense (DND) said Wednesday. "The hard truth is that it is (Jose Maria) 'Joma' Sison (Communist Party of the Philippines founding chair) and his ilk who have mastered the art of double-talk, deception, and exploitation," the DND said in a statement sent to the Philippine News Agency (PNA). The statement came after Sison labeled Brig. Gen. Antonio Parlade, Jr., Armed Forces of the Philippines deputy chief of staff for civil-military operations, a "brazen liar" for saying that some "patriotic and progressive organizations" in the country are communists. The groups reportedly communicated with Joma, who is also chairperson of the International League of Peoples' Struggle (ILPS). 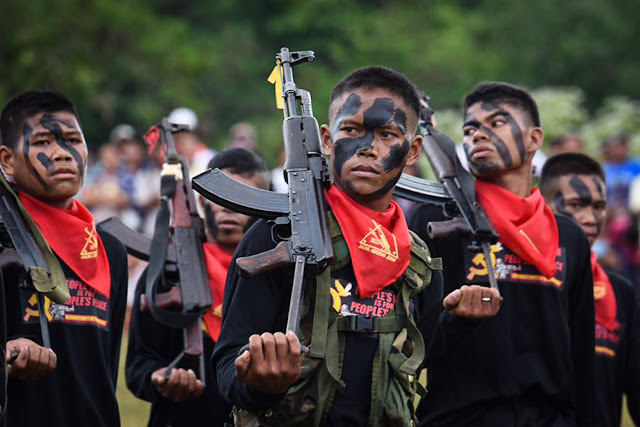 The DND said the CPP along with the New People's Army and National Democratic Front of the Philippines (CPP-NPA-NDFP) are “quickly losing their so-called armed struggle" with hundreds of their armed members returning to society under the government's Enhanced Comprehensive Local Integration Program (E-CLIP) program. Data from the military showed that in the first two months of 2019, a total of 608 NPA members and supporters surrendered to government troops. Former rebels are also given skills training and national certificates for competencies they need to start a life outside the armed communities. They also have the option to join the militia and regular military units, aside from availing of education scholarships. "For decades the CPP-NPA-NDFP have been a blight to our land. They are desperately trying to hold on to whatever power they have left through their front organizations. In time, everything will be exposed and the Filipino people and the rest of the world will see their true faces," the department said. Last month, a Philippine delegation that includes Parlade engaged several officials from the European Union (EU) and the Belgian government to request them to stop the flow of funds to non-government organizations (NGOs) that grant financial assistance to front organizations of the CPP-NPA. The delegation said communist front organizations receive funds from the Belgian government and some European countries in the guise of marginalized and pro-poor programs.